Featuring more Kevin, fresh scares and an extended peek at the movie’s big, big bad, Sony has rolled out the second international trailer for Ghostbusters. Almost inexplicably, the Japanese-oriented sizzle reel has already racked up a ludicrous amount of dislikes on YouTube – but we digress. 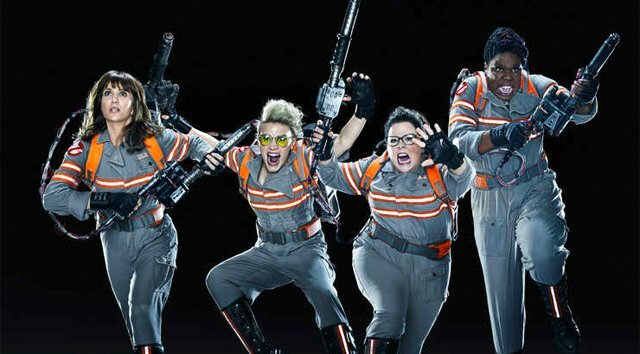 At the heart of Paul Feig’s impassioned remake are Erin (Kristen Wiig), Jillian (Kate McKinnon), Abby (Melissa McCarthy) and Patty (Leslie Jones), who are ready to take to the streets of New York City and, essentially, ward off a supernatural apocalypse. Doing so won’t be easy, however; as this is being aligned as an origins story of Sony’s fresh-faced ‘Busters, Paul Feig’s fantastic four are still coming to terms with their new duties, with today’s new snippet showcasing a proto-Proton Pack and Times Square overrun by the ghastly undead. Things go from bad to worse, too, with the mighty foot of the Stay Puft Marshmallow Man – which looks much more demonic this time around – crashing onto the scene towards the end. Also starring Chris Hemsworth as dim-witted PA Kevin, Ghostbusters lands in theaters on July 15.